Have you ever thought how can we incorporate computer algorithms into our day-to-day problem solving? Could it bring good results? Algorithms to Live By offers us a peculiar but effective way of seeing the world. Everyday we encounter a different set of problems that need solving. Brian Christian claims that we should try to ponder our daily issues as a computer would when solving problems. With a simpler and more organized way of tackling situations that we face everyday, you can manage to solve them easily and obtain better results. 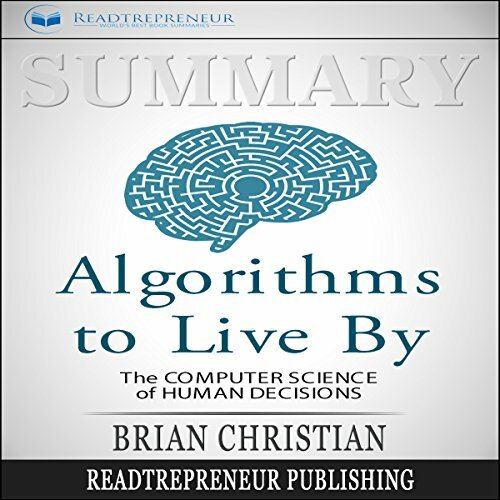 Algorithms to Live By possesses the two qualities that are key for a good book: an amusing factor and meaning. It truly is an entertaining read because of Brian Christian’s funny ways of phrasing his analogies and how practical his teachings are. The audiobook manages to keep you entertained while he walks you through a more efficient method of thinking. Brian Christian stresses that thinking in algorithms is using your brain in the best possible way. P.S. Algorithms to Live By is a brilliant book that will completely change the way you solve problems. With a simpler and more elegant train of thought, your odds of obtaining the best result possible when problem solving is significantly higher.